Terrain Rocky trails over dry land bushes. 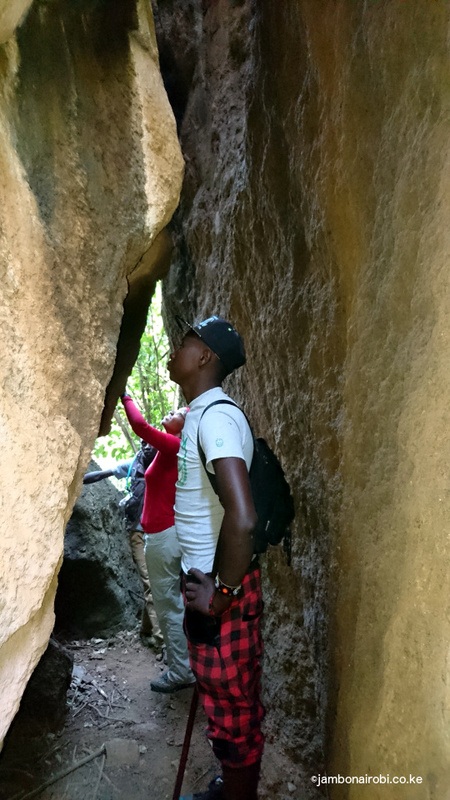 The remote, rarely visited Olorngelai Nature Trail, once a favorite with rock climbers, is on a 100m high fault scarp west of the Ngong Hills. 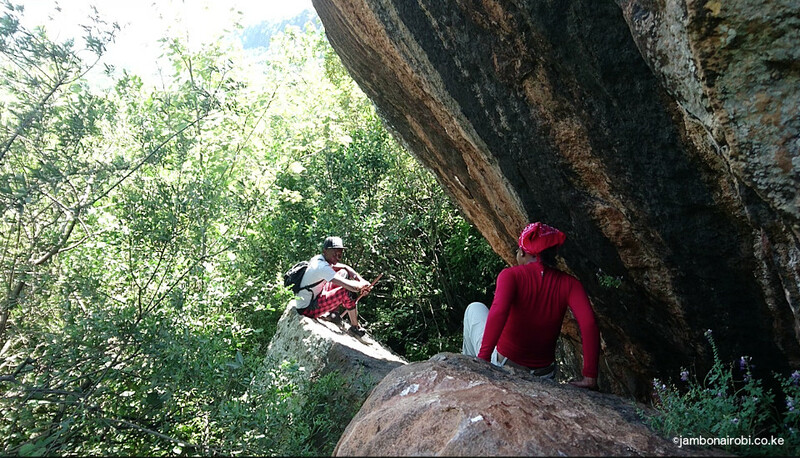 Massive rocks, high cliffs, chimneys and shallow caves dot the area, making it a climber’s paradise. For non-climbers, Olorngelai Nature Trail is much like the Ololosokuan Nature Trail, with a few extra surprises. If you are looking for a day hike close to the city, and some rush of adrenaline, then this is undeniably one of the best getaways to visit. Olorngelai Nature Trail starts off with a maze of huge rock arrangements that require some easy clambering, while ducking under others. At some point, you enter a tight crack between two parallel rock faces, with a narrow beam of light making its way down through the small opening at the top. Climbers call this a Chimney, and would probably attempt climbing it. 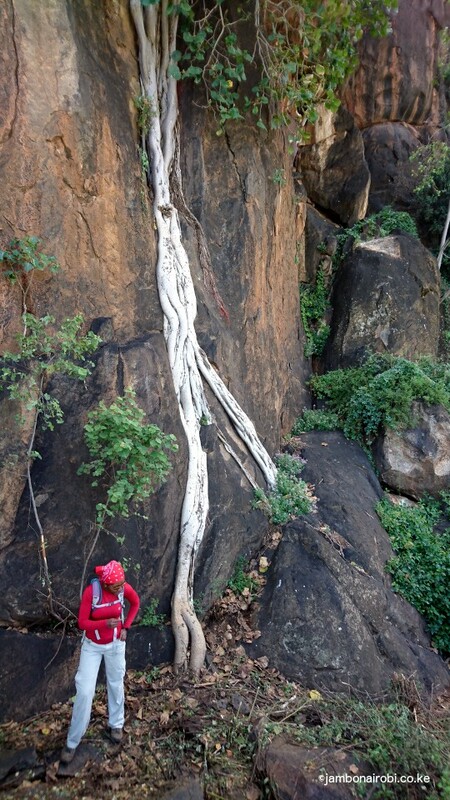 In other areas, you go past some very high, smooth rock faces along the trail that look pretty challenging even for experienced climbers. 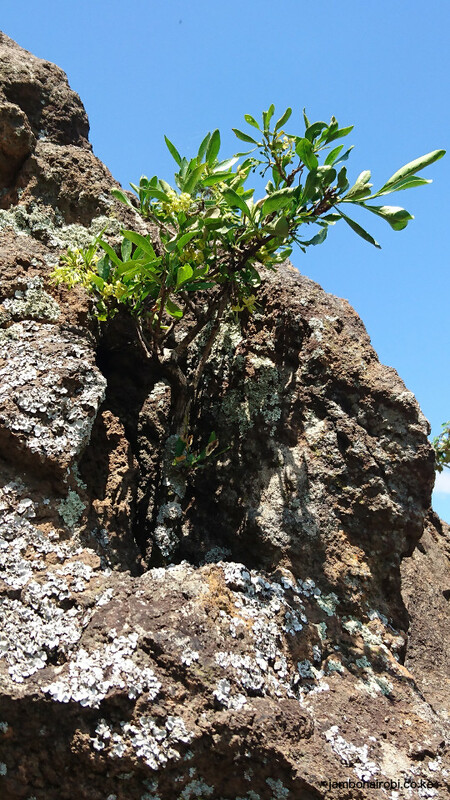 Interestingly, some plants have succeeded in anchoring themselves on little cracks on the cliffs, providing interesting contrasts against the pervasive stone grey. One of the highlights on the trail is a narrow ledge with a low roof from an overhanging rock above it. The only way to get across is by sliding on your backside to the other end. The sheer drop to the left may scare the daylights out of some, but thankfully it’s short and before you know it, you get to a point where you can stand up and continue scrambling up other rocks. The view of the expansive swamp below is pretty impressive once you get higher up. During the rainy season, it fills up and becomes a splendidly green carpet stretching into the distance. Without a permanent river to replenish it, this gem sadly dries out after prolonged droughts, turning into a lightning rod for dust storms that can be seen for miles. 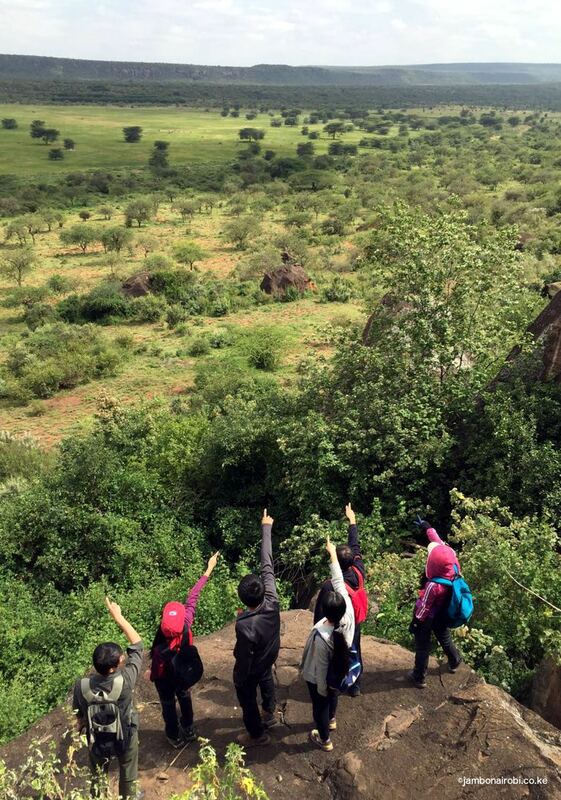 Olorngelai Nature Trail is situated west of the Ngong Hills, 60km from Nairobi. It is off the Ngong Circular Rd as you head from Kibiko past Kimuka towards Kisamis. You’ll need to drive there since there is no public transport. If driving from Nairobi City centre, get onto Haile Selassie Avenue or Valley Road and turn onto Ngong Road at the City Mortuary. Go past Dagoretti Corner and Karen till you get to Ngong town. Turn to your right and 100m further on, take another right turn onto Kibiko road. Drive to Savannah Sunset Resort where you’ll be joined by your guide. He’ll direct you the rest of the way. Emmanuel Kaimarish – +254 704 866745. Call in advance before visiting. Call in advance to confirm the latest fees before visiting.